Hello my Lovies!! Today I have Krista Holle Guest Posting on my blog about Conflict. Yep, the stuff that makes readers want to throw the book or snuggle it close. I've thrown quite a few in my day..only to pick it back up because as disgusted as I was, I HAD to know what happened next!!! LOL...Be sure to fill out the rafflecopter below for your chance to win an ecopy of the book and a T-shirt!! Take it away Krista!! Every romance needs conflict and each source of woe is as delicious as the next. There’s the love triangle, the long distance relationship, the unrequited love, and the clash of clans like Romeo and Juliet. What I’d like the reader to consider is a little love story with almost insurmountable odds. It’s called The Lure of Shapinsay and the year is 1848. His name is Eamon and he’s a very naughty selkie from the sea; Kait’s a land dweller with a razor sharp tongue. The attraction may be powerful, but even the ancient Norse gods frown on this relationship caught in the crossfire somewhere between heaven and hell. There’s a reason why almost all of the selkie legends are romantic tragedies. For those of you who aren’t familiar with these mythical creatures, selkies are beautiful men and women who live as seals in the sea, but occasionally shed their skin to come onto land. Traditionally a female is captured off guard and forced to marry the brusque fisherman who’s hidden her skin. She’s as meek as she is beautiful and children soon follow in this seemingly sweet arrangement. But it’s not a match made in heaven. Every day the selkie bride stares across the bay, aching for her hidden skin so she can return to her one true love—the sea. The story usually ends when her child stumbles across a silky coat hidden in the most remote of places. The child presents the skin to his mother who quickly escapes back to the sea leaving a stunned family behind. Selkie males are a wonderful inspiration for conflict. Traditionally the males were blamed for nearly every drowning on the Orkney Islands, the setting for The Lure of Shapinsay. For hundreds of years they’ve crept silently on land to seduce women before luring them to their deaths deep beneath the sea. It’s no wonder that Kait risks more than a broken heart when she first lays eyes on Eamon’s pearly white body—she risks her life. It’s because of his siren like lure, that Kait would gladly follow him under the waves and end her life. Eamon struggles with his own demons and would just as soon kill Kait for simply being a land dweller. But even before their first sumptuous kiss, these two understand they are meant to be together despite the very habitats that tear them apart. 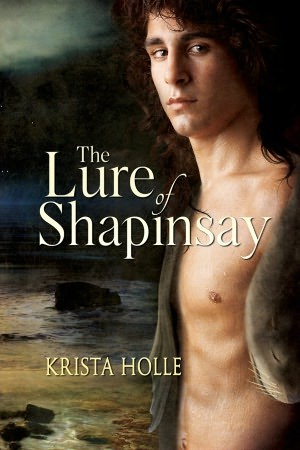 The Lure of Shapinsay is the story of two simple souls who shouldn’t be together. If staying together is an adventure, then staying alive will be a miracle. 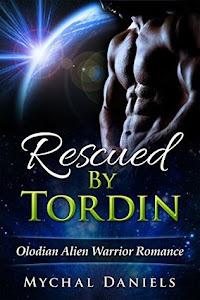 Kait is woken unexpectedly by a beautiful, naked selkie man seeking revenge. After she declares her innocence, the intruder darts into the night, but not before inadvertently bewitching her with an overpowering lure. She obsesses over a reunion deep beneath the bay and risks her own life to be reunited with her selkie. 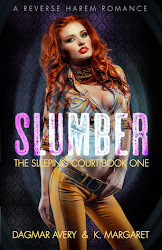 But when she lands the dangerous lover, the chaos that follows leaves Kait little time to wonder—is it love setting her on fire or has she simply been lured? Lol...Now that was a tease!!! It's nice to escape to a different time. Away from the hustle and bustle of today's society, and the ever growing media industry. Could you imagine, going one day without your handheld devices? Without your car? To a sleepy little island shrouded in mystery and magick? That is where this book begins. A friend of Kait's is giving birth, but the child isn't quite human. There are many things lurking on this island and those with unknown origins are treated harshly. The child is tossed into the ocean while the midwives restrain the mother. Kait tries to save the infant but is too late. Her floundering around in the water catches the attention of a few selkies. Though only one is plotting her demise because of a crime she didn't commit. Eamon was sure that Kait had tossed the child into the ocean. It was her name and scent that held strong to the edge of the water, and sealed her fate with this arrogant young pup. He has plans to take an eye for an eye, but when the opportunity presents itself, can he indeed finish her off? I enjoyed the fresh spin on the selkie legacy. It had a believable buildup with realistic and likable characters. My favorite character was the witch :) She added to the mystery and threw in some comic relief when the plot was darkening. It had a few twists in the plot that were shocking, but all in all the book was very enjoyable and page-turning. I will be seeking out more from this author again. I loved the way the story ended!! This sounds like a great book to read! Thanks for the awesome giveaway! Last summer I was tasked with writing a review for a blog. It was my first effort in this type of forum and I had to choose a book from a list of pending reviews. I those The Necromancer's Apprentice by R.M. Prioleau as it sounded like it would be something I would really enjoy. I started reading and for me it was just too descriptive and I was really having a hard time. I put the book down and looked up the author and tired to find out a little more. I found that the author was also a game designer and artist and this was her first book, which made the the light-bulb turn on and the writing style made so much more sense. I picked it up again because I had to, I had committed myself to doing a review and I was really glad I did. By the end of the book I had to know what was going to happen and how and I no longer saw the things that initially annoyed me. I would have really missed out on a very interesting read had I not finished this book:) You are now presenting me with a new intriguing title and I am looking forward to reading more. I have thrown a book before but I do not remember the title. I remember it was a romance book and the heroine was exasperating in her stupidity but i did eventually pick it back up. i know that ive thrown books, put them down and stopped reading them but at the moment i cant think of a book that ive done that to lately. there have been a few that ive picked back up just to see what happened with the ending. thank you! This looks like a great read and the T-shirt is super cute! Thanks the giveaway. Sorry. Didn't do the blog comment on the rafflecopter until after I wrote my previos comment. So, if I stop reading a book because I don't like or it's boring or too annoying for words, I will not pick it back up. Usually, I will delete from my nook or whatever program I am reading it through. That said, I most often muslce my way through the most tragically written books and all I get is more annoyed as it goes on. I have to stop torturing myself and just dum it! thankyou for the giveaway, i recently read halfblood and i wanted to put it down because it was very similar to another book i read but i kept reading to see if the ending was different. Well, I didn't throw it...but I sat it aside for a couple of days because I was so disappointed in how it was going...then came back and finished it...quickly. Charlaine Harris, Dead In The Family. Mockingjay. I just got to mad with all the people dying, especially Finnick... so it took me a while to finally finish it. Its my first time hearing about this Selkies. The Selkie women reminds me of celestial maidens who came down from the earth with there celestial robes, fishermen would hide them so the celestial maidens could never go back from the heavens. Also about the question, The Socieity of S, is a book I would literary put down, because I find it very boring, but I was curiuos on who she really is and where did her father gone to. I usually read my books all the way through. I am OCD and never put down a book until I finish it.